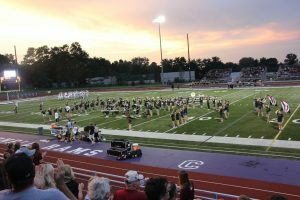 The Iowa State University Marching Band came to Mount Vernon, the 300 plus members traveling in charter buses to perform at the home football game Sept. 7. 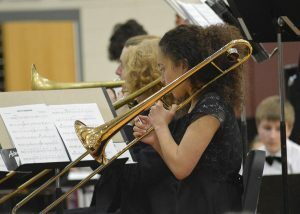 The ISU band has played at other local high schools on the night before the Iowa vs. Iowa State football game in the past. 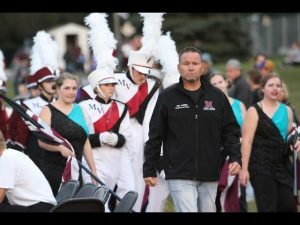 Mount Vernon Band Director Scott Weber contacted the ISU band director, Michael Golemo, and invited them to perform at Ash Park, with the thought that it would be a great experience for the kids who are a part of Mount Vernon High School’s marching band to see a college marching band perform. 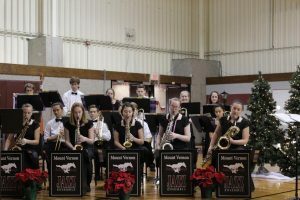 Throughout the football game, the ISU band served as pep band from behind the east endzone, playing music in between plays and interacting with MVHS band members. 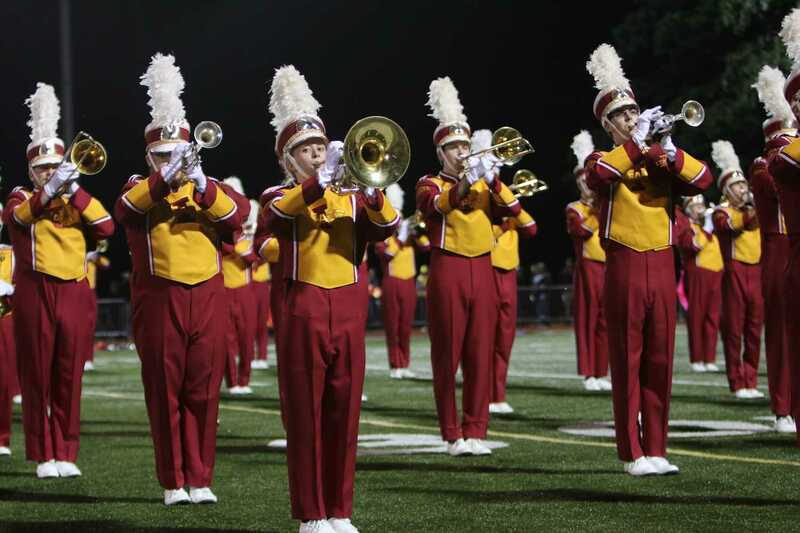 As the first half of the game came to a close, the ISU band set up around the field. 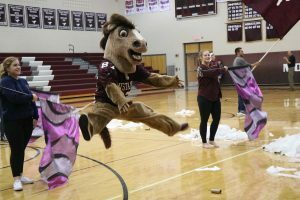 As soon as the football players left, the ISU band stormed the field and prepared for their show. 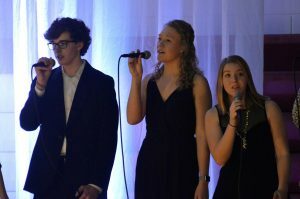 The band performed their show entitled “Summer,” which consisted of hit songs from the summer of 2018. 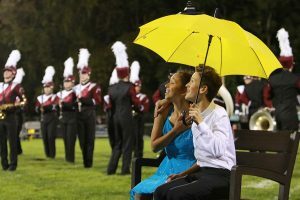 When they performed, MVHS band members were able to get up close to the show, sitting at the edge of the field. 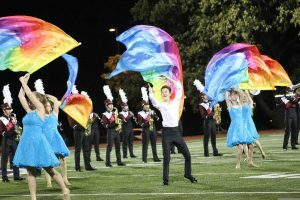 “They were incredibly breathtaking, like nothing I’ve ever seen before,” said eighth grade color guard member Dallas Olberding. 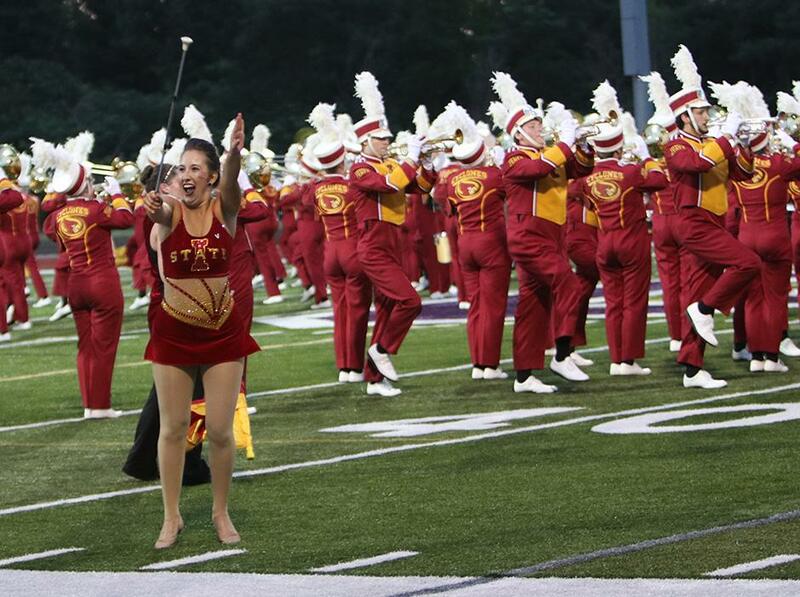 The Iowa State baton twirler performs with the band at Ash Park Sept. 7. 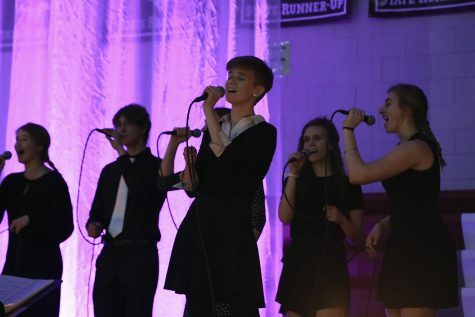 Photo by Caroline Voss.